In 1969 photographer Gerry Deiter accepted an assignment to cover Beatle John Lennon and artist Yoko Ono as they spent a week in bed in a Montreal hotel. 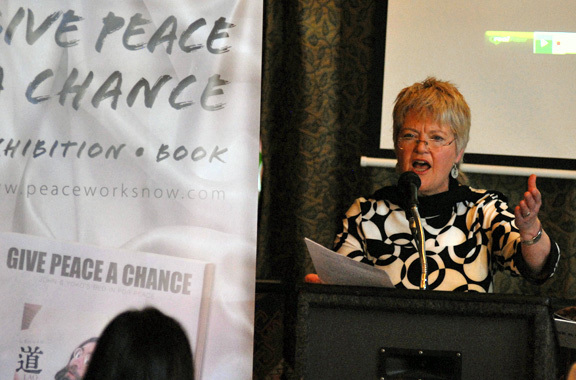 Deiter covered the entire week of the Bed-In For Peace but the photo essay ended up getting bumped from the magazine by a a breaking news story so the photographs were never published. The photos remained largely unsen until 2002 when Deiter started to exhibit them. 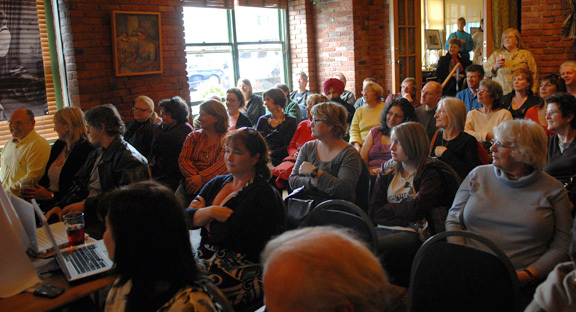 The photographs started gathering more and more attention, culminating in an exhibition at the Royal BC Museum, a show that opened December 5, 2008. Just a few days later on December 9, Deiter suffered a heart attack and passed away. 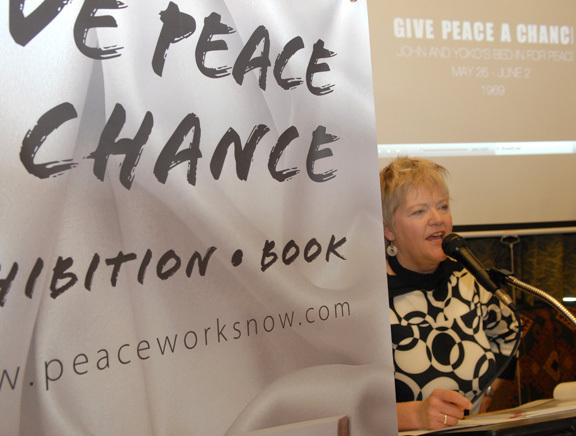 The photographs might have disappeared from view again except for the efforts of Deiter’s friend Joan Athey who secured the rights to the images and has now compiled them in a book ‘Give Peace A Chance”. 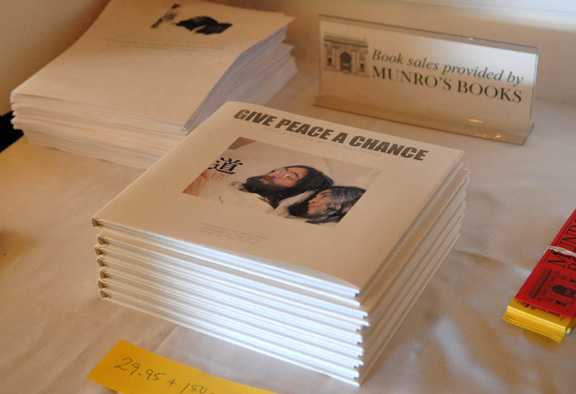 The book received an official launch in Victoria at Swan’s Hotel. More information can be found at www.peaceworksnow.com. Interesting history of the book coming to fruition. Tragic on all accounts. Tragic in that he died just after the first big show opened, but he had a pretty amazing varied life and at least he saw that show up. If I remember correctly he was actually walking home from the official opening of the show when he died. I met him once, photographed him for a Globe interview about the final show. He called me up to say he liked the photo and could he get a print. I had one made up but then he passed away before I could deliver it. I ended up taking it to his remembrance event/wake and leaving it for his son.